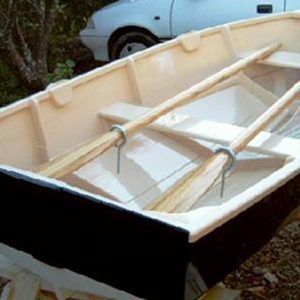 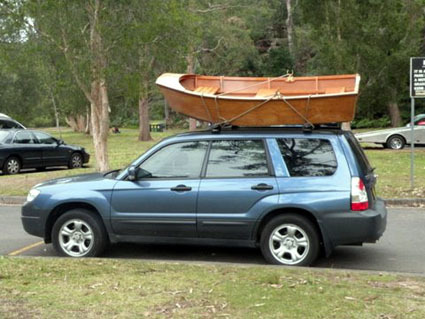 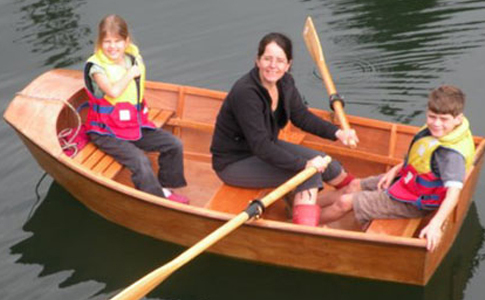 7’8” ( 2.34m) Plywood dinghy. 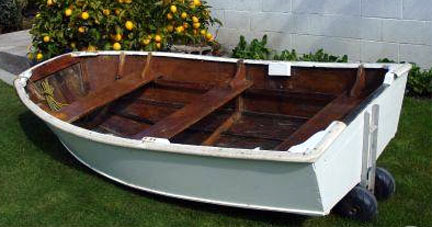 Beam 4′. 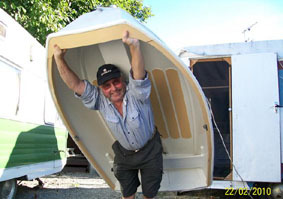 weight 65 lbsTakes up to 10hp o/b. 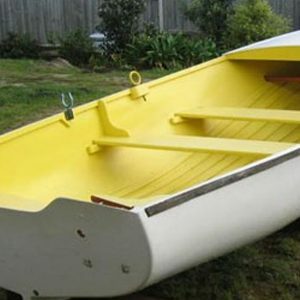 Ideal for children or as a tender. 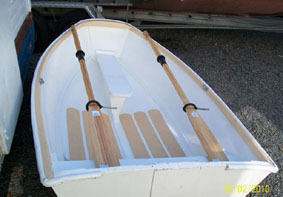 Easy to row and can be towed behind fast launches or sailboats.